This is so old I'm almost embarrassed to put it up, but I've been meaning to for a long time. But my job has me really strapped for time right now, so I'm putting it up while more time-consuming projects eat up my breaks. 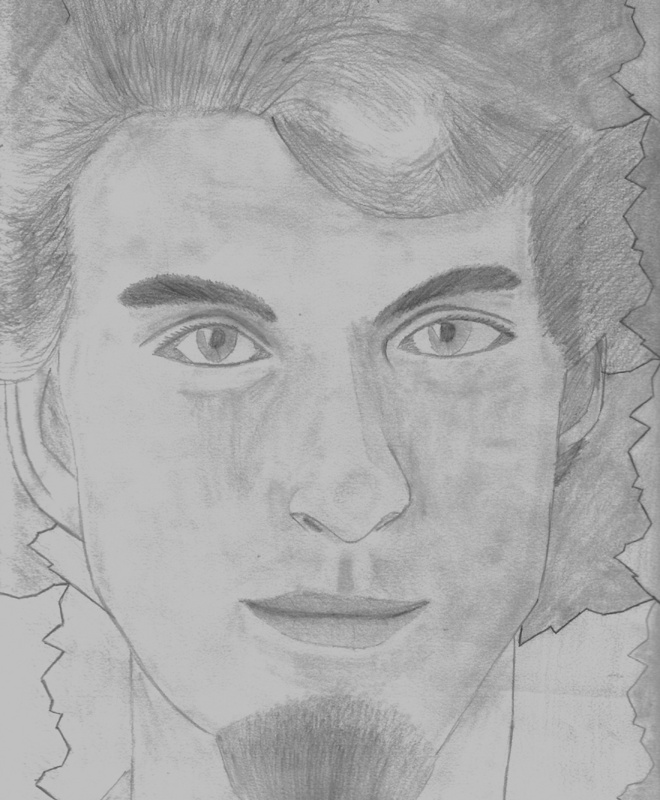 The story behind this is simple- in my art class, senior year of high school, we had to do a self portrait in pencil. We used a grid-based system for accuracy, and then had to incorporate a pattern into the background. Because my hair is so impossibly curly and therefore hard to draw, I had it blend into the background. One of my early signs of artistic compromise.